Most Americans were brought up to believe Abraham Lincoln was one of our greatest Presidents. As schoolchildren, we were told his belief in the equality of man led him to free the black slaves through his Emancipation Proclamation in 1862. 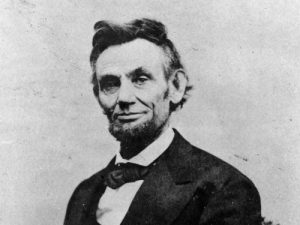 However, reviewing the transcripts of his public speeches, the memoirs of those he worked with, and the public records, a very different Abe Lincoln comes to life. It would seem that the main reason he wanted to free the nation’s slaves, was to be able to then deport them, preferably back to Africa. Since the 1840s, Lincoln had been a member of the American Colonial Society, a group who, with the help of the US government, were instrumental in setting up colonies along the shore of Sierra Leone in 1820 for the express purposed of receiving deported black freedmen. The colonies were managed by a hodge-podge of missionaries, American government appointed functionaries, and black entrepreneurs. The colonies were not very successful, until most of them banded together in 1838, renaming their capital Monrovia, and their new unified colony Liberia. In 1847 they declared their independence, drawing the wrath of the US government, who refused to recognize the new nation. The ships bringing deportees stopped coming. 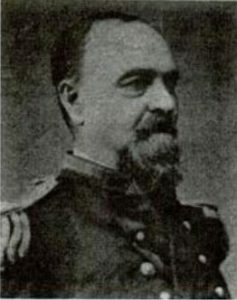 After Romero’s meeting with Blair, Secretary of State William Henry Seward (who was later to purchase the Russian Territory of Alaska for the US in 1867) also met with the charge d’affaires to talk further about the possibility of purchasing the island of Cozumel for this purpose. 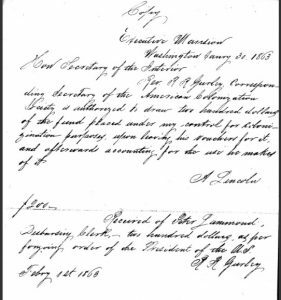 Romero informed him that the purchase would be next to impossible, as the Mexican people would not stand for losing one more single square-inch of sovereign territory, but they would be amenable to taking certain, selected, freed-slaves in as immigrants. However, as Romero had predicted, the sale of the island to the US was a non-starter, and Lincoln abandoned the Cozumel project. On May 20, 1862, the American Consul-General in Cuba, Robert Wilson Shufeldt, presented Manuel Doblado, Benito Juarez’ Minister of Foreign Relations, another plan by President Lincoln to send freed, black, American slaves to Mexico. This time the intended colony would be the Isthmus of Tehuantepec, a strip of land that the US had been trying to buy from Mexico since the 1840s in order to build a road and railway across it to join the Atlantic and Pacific. This plan to send the freed blacks to Tehuantepec was rejected by Mexico as well. In September 1862, Lincoln’s next effort to send black freedmen to a foreign territory began with attempt to send 50,000 of them to colonize land owned by Ambrose W. Thompson in the Chiriquí Province of Panama. Due to the vocal complaints of neighboring countries, the plan was abandoned. 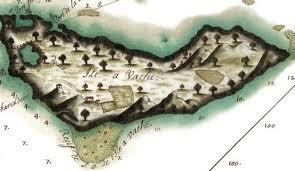 That same September, a fourth attempt was made, this time to set up a black colony in Ile a Vache off the coast of Haiti. 500 black freedmen were sent as a first wave, but the project was a miserable failure and the starving colonists had to be rescued by the US military a year later. After that, Lincoln gave up all hope of acquiring a foreign territory for the black freedmen, and refocused his attention on the Civil War.